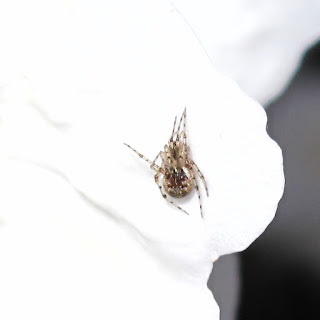 This is a small, but fascinating spider family. It comprises just 4 species of the genus Ero, two of them common and widespread. They are small spiders, about 5 mm long, with globular abdomens, which have two or four tubercles. 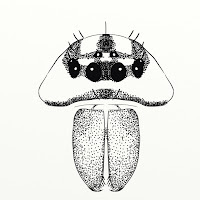 They have annulated legs, the first pair endowed with a series of spines. Female pirate spiders produce characteristic egg sacs, which are more noticeable than the spiders themselves. 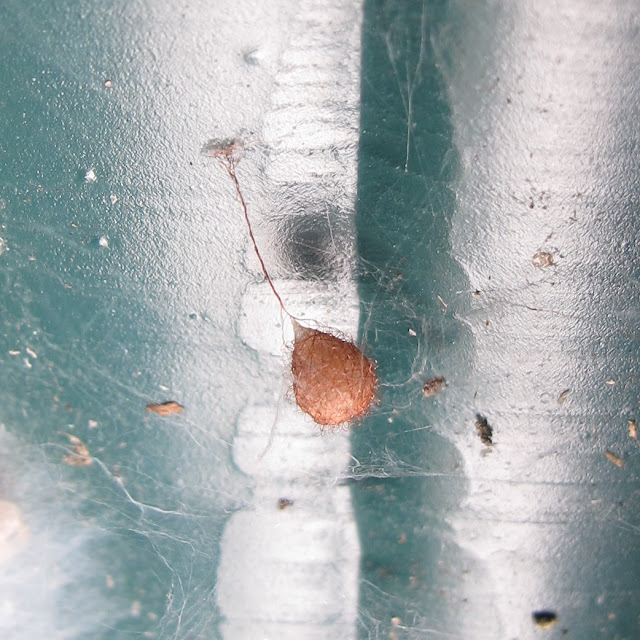 They have a long stalk and are covered on coarse, brown wavy silk, presumable for protection, as the female takes no care of the egg sac or the spiderlings themselves. 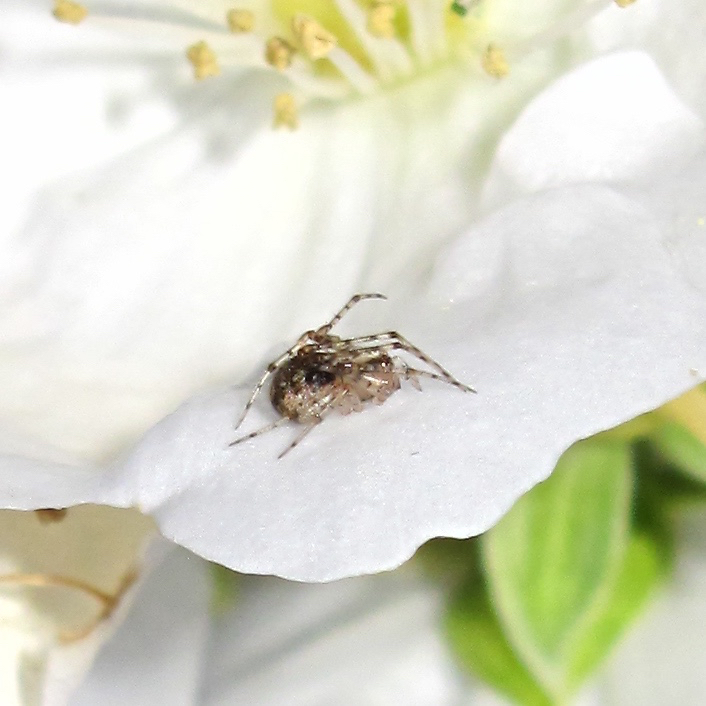 These two photos are the only ones I have possibly portraying a Ero cambridgei/furcaca female sitting on a flower in a bush, legs withdrawn.